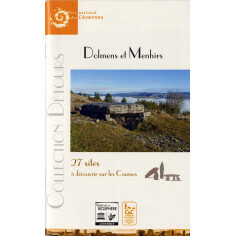 27 sites to explore dolmens and menhirs that you can discover on the Causses. 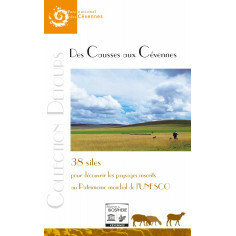 The limestone plateaux of the Causse de Sauveterre, Causse Méjean, Causse Noir and cham de Bondons are studded with prehistorical treasures : stone monuments bearing witness to the first agricultural communities that settled in the area. This booklet offers to discover or rediscover 27 sites, mostly accessible by car, usually situated on hiking trails. Three maps are used to identified them easily. Beyond the discover of monuments, prolonged visit can be chosen in the sector, in discovering the park, with partner proposals or other hiking trails.